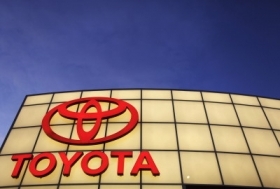 WASHINGTON (Bloomberg) -- A review of unintended acceleration incidents in Toyota Motor Corp. vehicles by two U.S. agencies may not be released this fall as expected. NASA, the U.S. space agency, began a review eight months ago of reports of unintended acceleration in Toyota vehicles. The world's largest automaker recalled more than 8 million cars and trucks worldwide for defects in the largest such move by an automaker. It also underwent a series of U.S. congressional hearings on how the flaws occurred. The U.S. Transportation Department, which includes NHTSA, said in late march that Toyota accelerator pedals and electronic vehicle controls would be examined by NASA engineers as it expanded its probe into causes of unintended acceleration. “We haven't been informed of any schedule by NHTSA. The timing of the report is entirely up to them,” said John Hanson, a spokesman for Toyota's U.S. unit. The National Research Council, part of the congressionally chartered National Academy of Sciences, is conducting a separate review that NHTSA said in March would be completed in about 18 months. U.S. Transportation Secretary Ray LaHood said at the time the NASA probe would be completed “probably sooner” than the research council review. NASA is studying whether electromagnetic interference may cause unintended acceleration, which may be linked to 89 deaths in 71 crashes since 2000, according to the auto-safety agency. NASA investigators are using Chrysler Group LLC's test facility in Auburn Hills, Michigan, for its vehicle testing work, according an Aug. 10 NHTSA report to U.S. lawmakers. Toyota expects the government reviews to support its own findings that electronics didn't cause unintended acceleration, Hanson said.